This post was written with the expertise of Discount Garage Door (Tulsa), a company that provides Garage Door Opener Repair in Tulsa, Oklahoma. No one likes being left out in the dark. This is even true inside the garage. You may be wondering why your garage door opener light is no longer working. Well, there are a few simple fixes and then some a little bit lengthier, but all can be done at home. 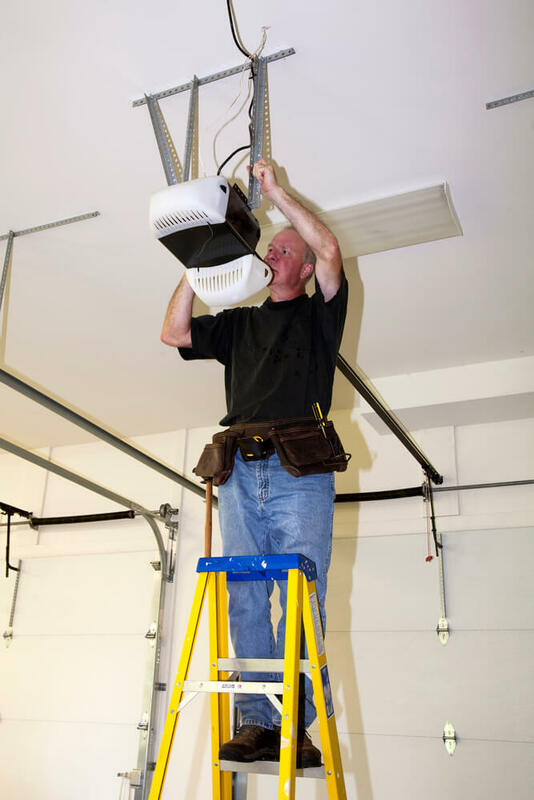 If you want to fix your garage door opener light, then check out this information below. While this is obvious, it is important to note that shaking the light bulb gently is no longer an effective way to test light bulbs. A lot of light bulbs are LED and cannot be tested that way. Another thing to note is some light bulbs can be faulty, so even if the light bulb was recently changed it may need to be changed again due to a faulty bulb or other issues. Lights bulbs are fragile and can blow for many different reasons. Even if the light bulb was changed do not count that out just yet. Do a test with a brand new light bulb to see if it resolves the problem. You can find LED Light bulbs for the garage door opener at Home Depot. Sometimes switches can go out. The switch that turns on the garage door opener light may need to be replaced. A professional electrician can be very helpful but if you are confident and take the appropriate safety measure such as turning off all power to replace the switch, then it certainly can be replaced without a professional. More information on how to replace a light switch that is located on the wall can be found at Dummies.com. The garage door opener works off of a board that has points and connections. It kind of functions like a motherboard but for a garage door opener system. Over time this board can get burnt up and need to be replaced. This usually happens over time. It can be replaced at home, but a professional can get the job done in no time. If the circuit board is bad, then it can be replaced. However, it is important to do a quick check and see if the issue is indeed the circuit board. By unplugging the entire garage door opener for a moment then plugging it back in, you should hear a clicking sound. This is the circuit board to the garage door opener relaying for it to come on. If there is no clicking sound, then the relay is not working properly, and the garage door opener circuit board will need to be replaced. This YouTube video can provide more information about this matter if interested. Sometimes the connections that touch the light bulb can be bent. This is something that can occur in many electrical light bulb sockets. To check, it is very important to turn off the power first. You do not want to come in contact with these brass connections when there is power going to the garage door opener. One contact is on the inside side of the light socket and the other one lays in the bottom of the socket. If these are bent outward and not allowing a proper connection between the light bulb and the socket, then the light will not come on when switched on. A sure sign of this is that the light bulb will flicker. Bend the light socket connections in place very carefully using pliers and a flashlight. Be sure that the power is completely turned off. To be safe, turn off the entire breaker to the house. Then you can take a flathead screwdriver and push or pull the sockets in the place where they are lined back up correctly. Sometimes it will not be any of the issues listed above, but rather a broken light socket. This may sound like something hard to replace, but it is actually pretty simple. There are some ways to test and see if a light socket is broken. If the light bulb has been tested, then this step can help determine if the light socket is functioning properly. Just like testing to see if the circuit board is working you can test and see if the light socket is. The only difference is when you unplug the garage door opener and then plug it back it the sound of clicking should be heard. If clicking is heard then the circuit board is working, but this may mean that the light socket will need to be replaced. This YouTube video proves a lot of information on garage door openers that can be helpful.